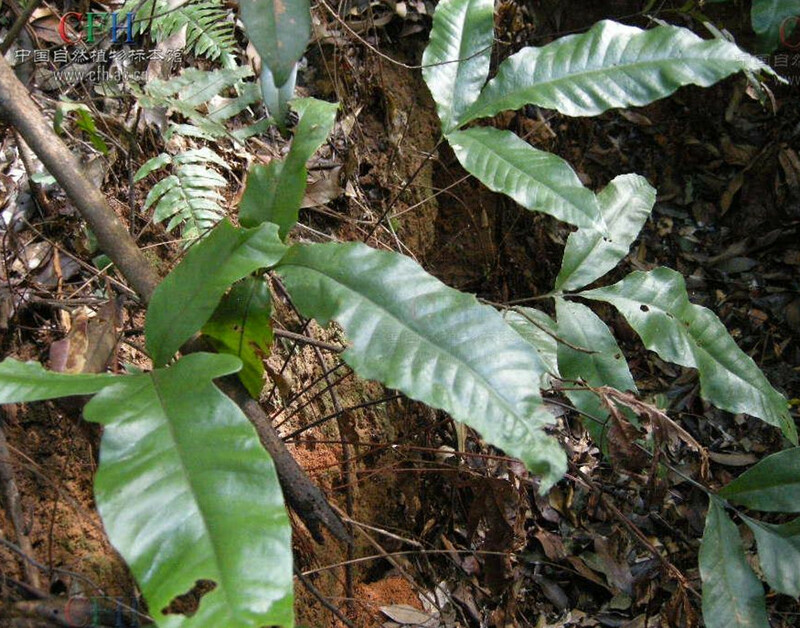 The drug is the dried or fresh whole herb of Bolbitis heteroclita (Presl) Cbing (Family Bolbitidaceae), growing on rocks along streams or in swampy lands under forests, and distributed in Fujian, Taiwan, Guangdong, Hainan, Guangxi, Guizhou, Sichuan and Yunnan of China. Bland, cool; lung, liver, kidney and large intestine meridians entered. Clear heat and relieve cough, cool blood to stop bleeding. Cough caused by lung-heat, hematemesis, dysentry, scalds and burns, traumatic injury and snake bites.